One of the most prominent Polish actors, Jan Peszek, is this year’s laureate of the ms Award, given to institutions, companies, media representatives and private individuals in recognition of their support offered to the Museum. 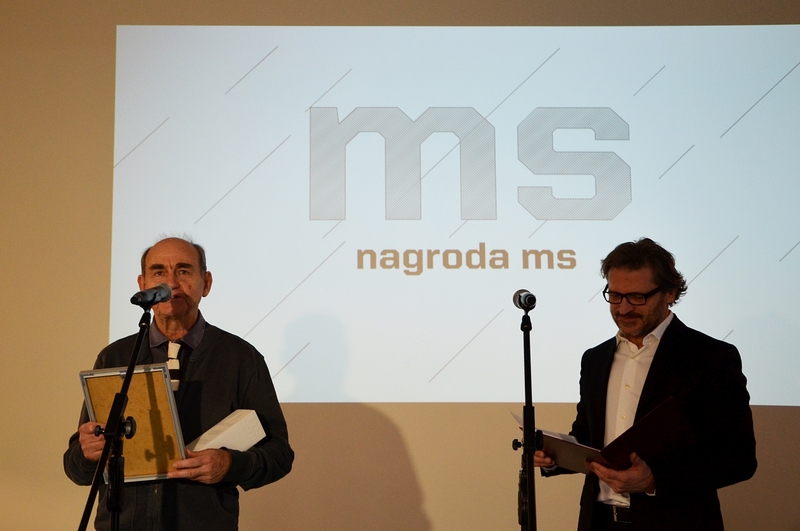 Jan Peszek received the award from Jarosław Suchan, Director of the Muzeum, during the ceremony held at ms¹ on 28 November 2015. Last year, Jan Peszek appeared in the series of spots entitled ‘Art does not need advertising’, shown on TV and published in the Internet, intended to elicit answers to the question whether art can be advertised similarly to washing powder or toothpaste. Video clips with Jan Peszek, directed by Artur Frątczak and based on the script of Leszek Karczewski can be viewed in the Muzeum’s film collection at msl.org.pl or on the Muzeum’s You tube. channel.